Anyone can claim to know the right way to reach an audience. Few can deliver as Function does. We are award-winning creatives who live for the challenge. Branding, product launches, digital and more, we craft creative campaigns with credible content—powerful messages that fit seamlessly into your voice, stay with and move your target audience. No matter the project scope or challenge, we are your partners in finding a creative solution. 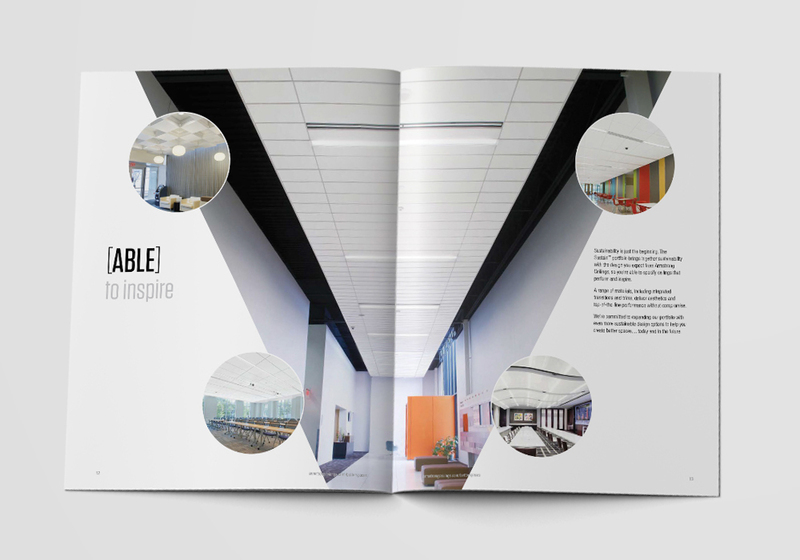 Armstrong Ceilings’ launch of the Sustain portfolio of ceiling tiles needed a strong approach to telling their sustainability story without sounding like everyone else on the market. 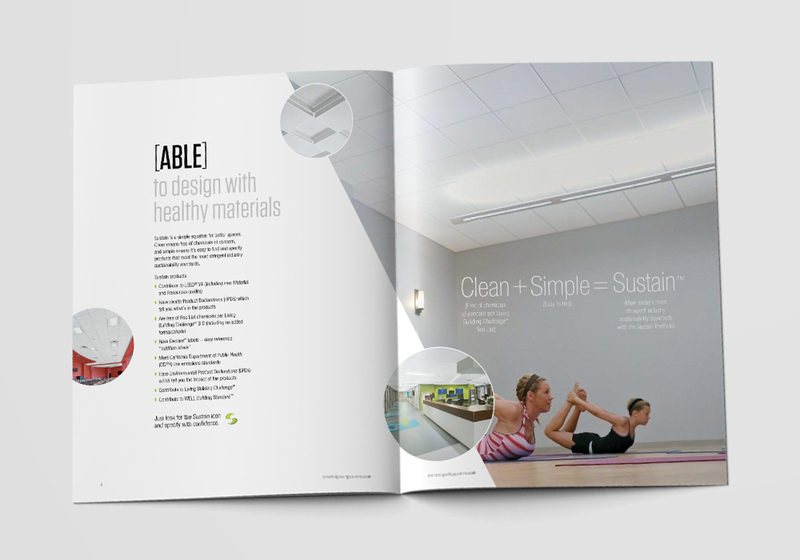 Working with the company’s internal research team, Function developed, executed and analyzed a series of interviews and messaging tests to inform architects’ attitudes around sustainably-manufactured products. 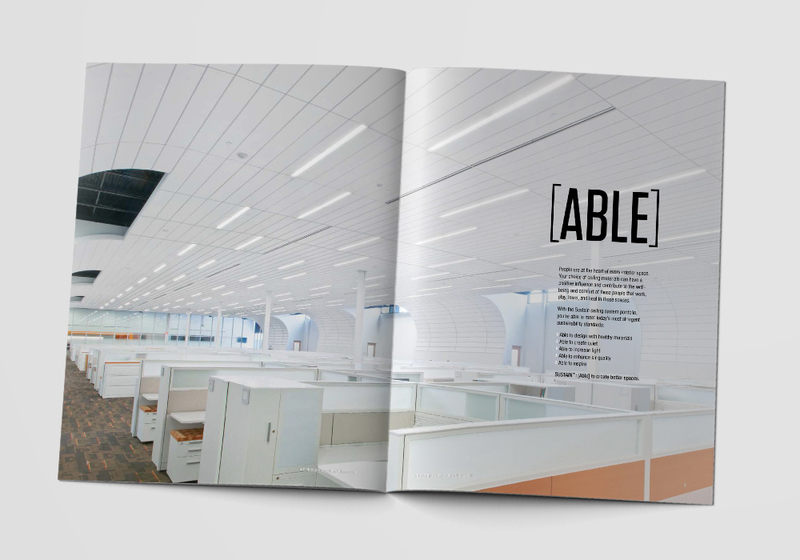 During the process, we uncovered a key insight: architects often feel forced to compromise important features when specifying sustainably-manufactured products. 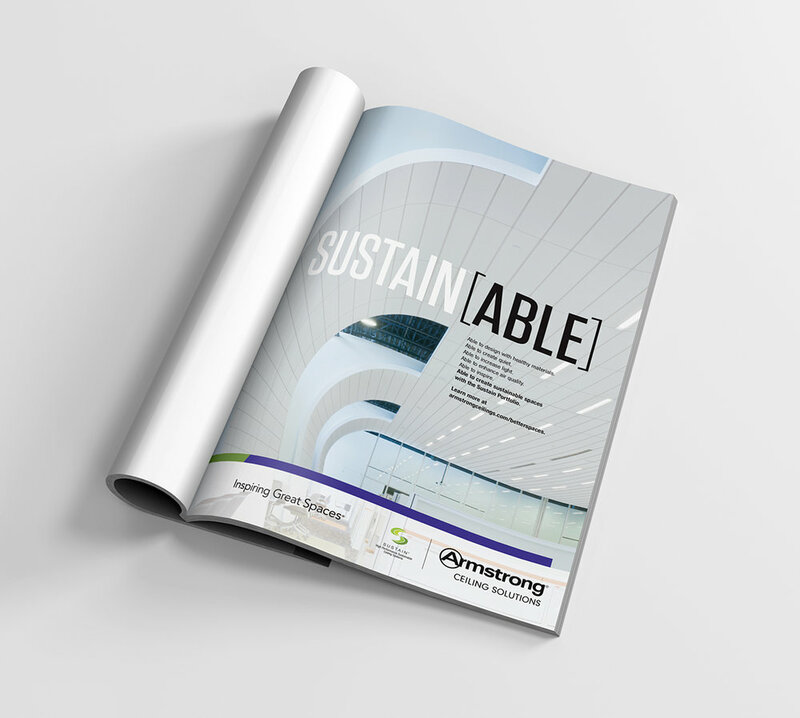 Armed with this, we developed the Sustain[Able] campaign, highlighting that this product offers architects high-impact design, excellent acoustics, and all-around better spaces for their occupants – a message that resonated throughout the campaign. As an established and respected fasteners manufacturer, Simpson Strong-Tie leads the industry with products that are strictly tested and proven to perform. That dedication to reliability lies at the heart of the company itself. So when Simpson Strong-Tie needed to tell their story, Function crafted a narrative which showcases the history and values of the company through their trusted products. Touching on different points in each annual has allowed Simpson Strong-Tie to share that deeper story with shareholders, and to keep their founding principles – to do it right, enjoy the work, and support customers in every way – at the forefront of everything they do. When Environmental Product Declarations (EPDs) and Health Product Declarations (HPDs) were introduced in 2014, they promised an unprecedented level of transparency into the environmental and health impacts of building products. However, this new wave of information quickly introduced more confusion than clarity for architects. As the first gypsum manufacturer to release EPDs and HPDs, CertainTeed sought to demystify the value behind the new standards. Working closely with experts from CertainTeed and UL, we developed an educational campaign, the centerpiece of which was an interactive CEU that simplified the complexities of EPDs and HPDs, taught architects how to understand the documentation, and introduced strategies to apply this new information. CertainTeed has continued to expand the campaign, successfully launching the industry into a new age of transparency and sustainability. After over 14 years on the Boral Brick brand, Function was in a unique position to evolve the brand as they entered into a joint venture with Forterra. Combining and evolving the two brands successfully into a new company – Meridian – needed to be streamlined, strategic, and powerful. Starting with the naming process, Function worked collaboratively with both teams to foster buy-in and ownership. After extensive discussion, we realized that for the new brand to be successful it needed to represent both companies’ history and strength in the market, while situating their merger as a more modern brick company. The Meridian logo visually represents this by combining the long-standing marks of both brands: the Boral flag and the Forterra stripes. “Be Bold. Be Brick.” was established as the foundation to lead them into the future. The complex engineering that goes into building, maintaining and repairing infrastructure demands solutions and product development rooted in science. Function knew that for their rebranding effort, Milliken Infrastructure's foundation of science and real-world testing would be the ideal basis upon which to create a distinct identity. This is also reflected in the organized and controlled treatment of content throughout the brand.